Crossovers are a growing trend in the automobile world. Almost every manufacturer is looking at introducing a crossover in various markets across the globe. Maserati now is looking at introducing their very own crossover. The Italian luxury car manufacturer has christened this model as Levante. Levante crossover will be revealed to the public at 2016 Detroit motor show. It will be one of the first luxury crossovers from Maserati and will be launched in several markets. 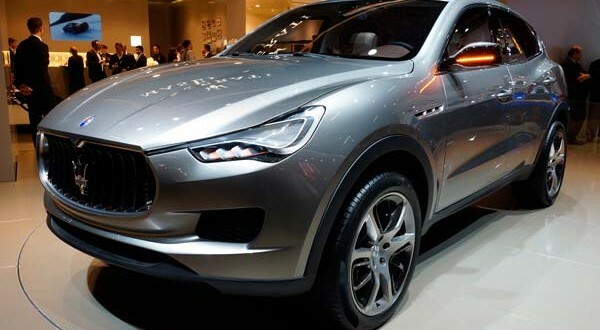 This crossover has been developed from Maserati’s Kubang concept which, was revealed years ago. They will now be bringing the Levante to Detroit as an almost production ready model. Maserati will provide its Levante with an array of engine options. These will include a 3.0-litre diesel engine, along with two petrol options a V6 and a V8 for performance oriented drivers. Performance and several other details have not been revealed by Maserati officials. More information will be provided on a date closer to Levante’s debut at Detroit Motor Show.